My talking toddler is too much talkative and she remembers what ever we say to her. She knows how dog barks, how crow and cow make sound and literally, she knows what she want and she can ask for that. Check out the video and you will know better. We tried our level best to capture this! These days her legs are not standing in a place, always running here and there. 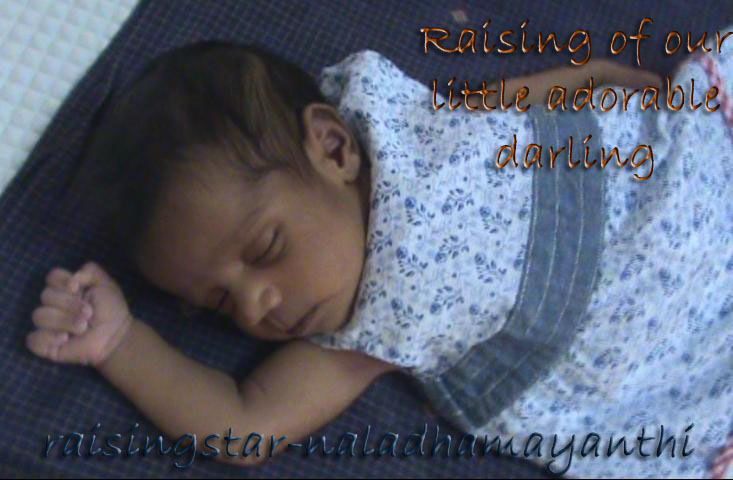 As Nalin put her in crib, she was not able run. He captured it nicely!